It's that time of year to prune back the wisteria to 2 or 3 buds ready for the next flowering period. Any strong growth can be trained on wires if required or simply pruned in the same way. This prune is different to the summer prune in which you only remove the long tendrils. The winter prune re establishes the frame work, so this is when you can also remove larger woody sections if needed. February will be your last chance to cut the hedges as birds will be busy building nests ready for spring breeding. 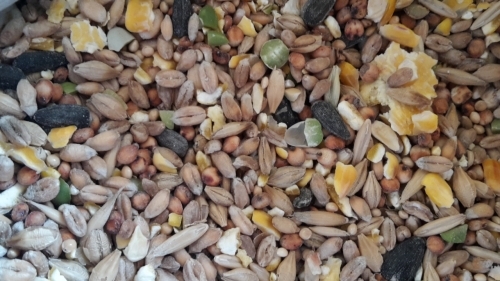 Help keep your birds strong for the season ahead by putting out good quality bird seed and the odd fat ball. 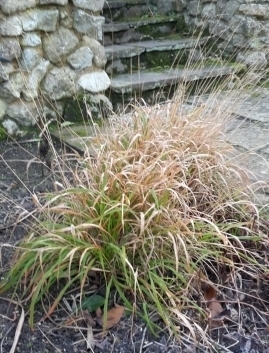 Ornamental grasses can now be cut down to just above ground level. Evergreen grasses should be checked over and any dead stalks removed. Ivy can be a pain for a lot of people but it is a great habitat for many reasons. It can be used for roosting bats and birds, hibernating insects. The flowers are full of yellow pollen that the bees and butterflys love. 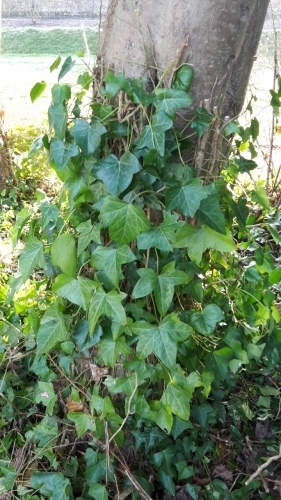 Ivy is not a parasitic plant it dosent live off of a host, it simply uses other plants / buildings to climb up. I would suggest if you have ivy try and keep it in order by giving it a winter trim each year. Dont allow it on to any roofs or near any guttering or it will cause you issues in the long run.